A PRIORITY pick has been awarded to the Brisbane Lions ahead of the 2016 NAB AFL Trade Period, which begins on Monday. The AFL Commission told the Lions on Thursday they would have an extra draft pick immediately after the first round, currently pick No.19, in the 2016 NAB AFL Draft. It is the first priority pick awarded under the new rules introduced in 2012, which leaves the decision at the discretion of the AFL Commission. The Lions finished second bottom in the past two seasons with three wins in 2016 and four wins in 2015, after finishing 15th in 2014. They appointed new coach Chris Fagan on Tuesday after new director of football David Noble joined the club a week earlier. Lions CEO Greg Swann said the club was pleased to receive a priority pick and was now focused on adding more talent to the playing list. "In the past fortnight we have appointed a new senior coach in Chris Fagan and a new GM of footy in David Noble, and the announcement of a priority pick adds to the momentum building behind our new start as a club," said Swann. "We now have four picks in the 30, which will give us a strong hand and plenty of flexibility heading into the trade period and draft. "Our aim as a club is to become relevant in the footy world again – adding talent both on and off the field are key to that, and today's decision by the AFL will assist in that process." 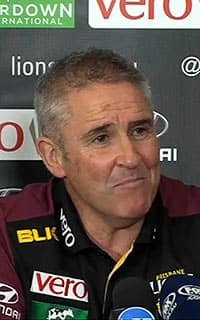 The Lions have not played finals since 2009 and in 2016 suffered an average losing margin of 60 points and conceded an average of 130 points a game. They have now won just one of the two finals they have played since losing the 2004 Grand Final following their hat-trick of premierships. Their application for a priority pick last season was rejected, but the AFL Commission determined they had met the requirements outlined under the wording of the AFL Rule 19.2 (Special Assistance), when considering the club's current age and list profile, and recent player movement in and out of the club. They have just three top-10 draft picks on their list after losing their first pick in the 2013 draft, James Aish, and five of their first six picks in the 2010 and 2011 drafts. They are open to trading Pearce Hanley, while Fagan is looking to catch up with contracted skipper Tom Rockliff to ascertain his intentions before making a decision on his future.